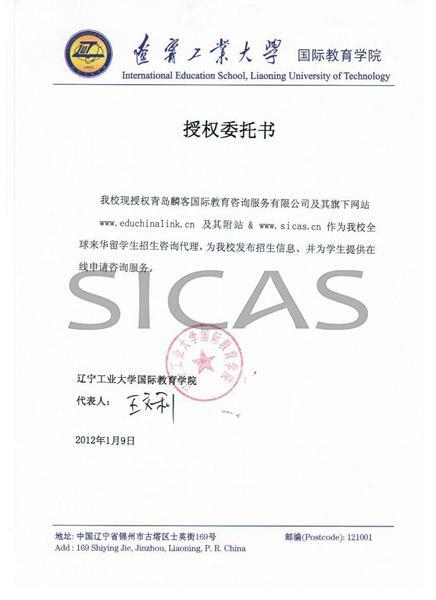 NOTICE：According to the strategy cooperation agreement between SICAS and Liaoning University of Technology, the students who get admission in this major through SICAS will be rewarded partial scholarship，receving 25percent tuition grant, so they only have to pay CNY18,000/Year. 1. All applicants must be in good health. 2. Must be under the age of 25, a high school graduate or with equivalent qualification of 12-year education background. 3. If studying for an engineering degree, results of mathematics must be at least 60% of total marks.